Vivel Skin Love Bloggers Meet with Kareena Kapoor | Love & Nourish Range by Vivel | The Shopaholic Diaries - Indian Fashion, Shopping and Lifestyle Blog ! A few days back I was invited over by Vivel India for a Bloggers meet at Sheraton, Saket with their brand ambassador and the leading Bollywood diva Kareena Kapoor Khan. It was an interesting session where Vivel introduced their Love & Nourish range specialized for nourishing skin and Kareena Kapoor shared her beauty secrets with us. Vivel, ITC’s leading personal care brand, understanding women's intrinsic need of deep moisturisation, unveiled this new range enriched with Vitamin E, a powerful skin moisturizer. In a discussion with the bloggers and answering our queries, Kareena Kapoor, who looked as ravishing as ever, shared secrets behind her beautiful skin, her personal skincare tips and her diet. She shared that she believes in the saying that - You are What You Eat - therefore one should always watch what they are eating, as it would directly affect the skin and the body. Well, we couldn't agree any less on this! Also, she gave the credits to Vivel and her genes for having blessed with a beautiful skin. She also swears by Aloe Vera when it comes to her skin care. Vivel with Green Tea and Vitamin E Vivel soap with Green Tea nourishes skin from deep inside and prevents accumulation of skin impurities. ‘Love & Nourish’ is an exquisitely crafted bathing range that is enriched with Almond Oil & Shea Butter and Avocado Oil & Olive Butter, and is crafted to pamper skin with an abundance of exotic butter and nourishing oil. 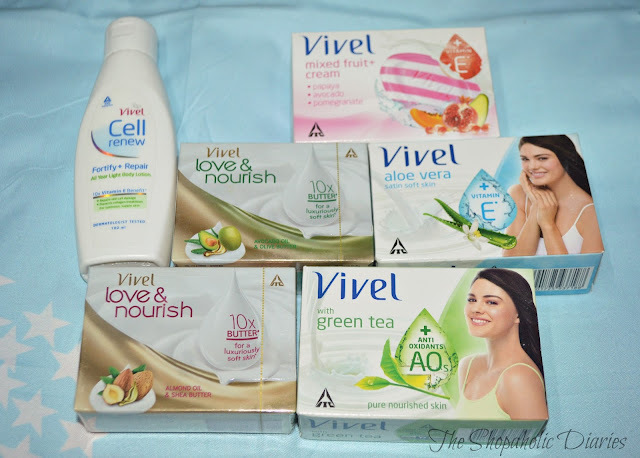 Well, we were really excited to attend the Bloggers meet with lovely fellow bloggers and being introduced to the exciting new range by Vivel. Can't wait to try the new Bathing range and share the review with you all!